I got this Wilfred beauty as an early Christmas present in November and can honestly say I’ve never experienced such coziness. Technically, it’s a scarf, but it doubles as a blanket and a friend even suggested it would make a wicked dress. If I must brave another Toronto winter (and I must since that hit-the-jackpot-and-move-to-Palm-Beach thing fell through again), at least I’ll have a giant wool scarf draped around my neck, like a fashionable perma-hug protecting me from blustery January winds. 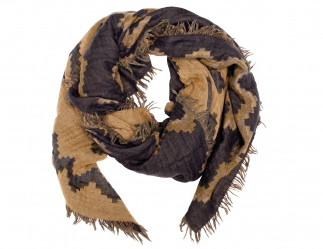 This entry was posted in Fashion and tagged aritzia wilfred scarf, best wilfred scarf, best wilfred scarves, big wilfred scarf, cozy wilfred scarf, wilfred, wilfred diamond scarf, wilfred scarf, wilfred tribal diamond scarf by lovewritenow. Bookmark the permalink.